We understand that just an order taking software or just an ERP software is not most efficient in today’s technology world. That’s why Just Billing Multi Location Distribution Management Software has been designed to provide end-to-end, real-time, end-point connected information to optimize operations enabling you to take the right decision at the right time. Send VAT/GST invoice to customers by SMS, Email, WhatsApp based on pre-configured templates. Hold, Recall features increase efficiency. Let it be customers' choice to pay by cash, card, multiple digital wallets, vouchers, loyalty points or a combination of these. 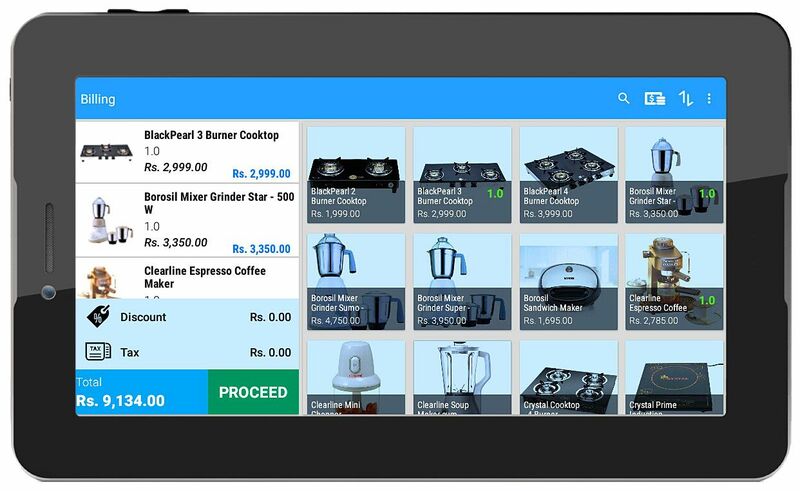 Creates orders & estimates for customers. Shows Order Status: Delivered or Pending, Receivable or Payable Payment Status. Manage all suppliers & product costing. 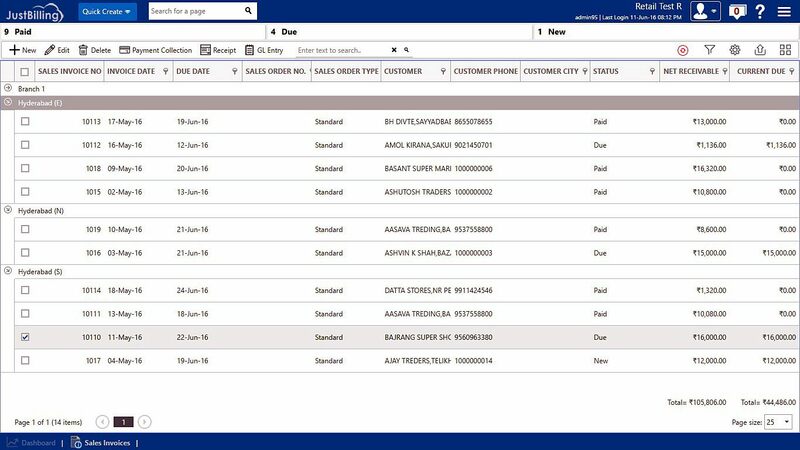 Create & track Purchase Orders. Receive inventory automatically through GRN. Get the accurate report on your daily sales, customers, products, expenses and many more to know your growth curve at your fingertips. Multiple filters and ordering criteria. Decimal quantity acceptance for products, if allowed. Ability to define multiple pricing rules. 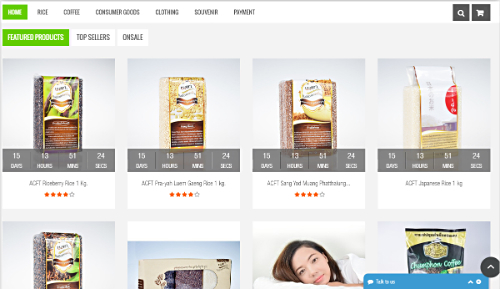 Facility to add products to wishlist. Customer authentication and security using OTP. Centralized inventory, customer database, sales and revenue aggregation at head office. 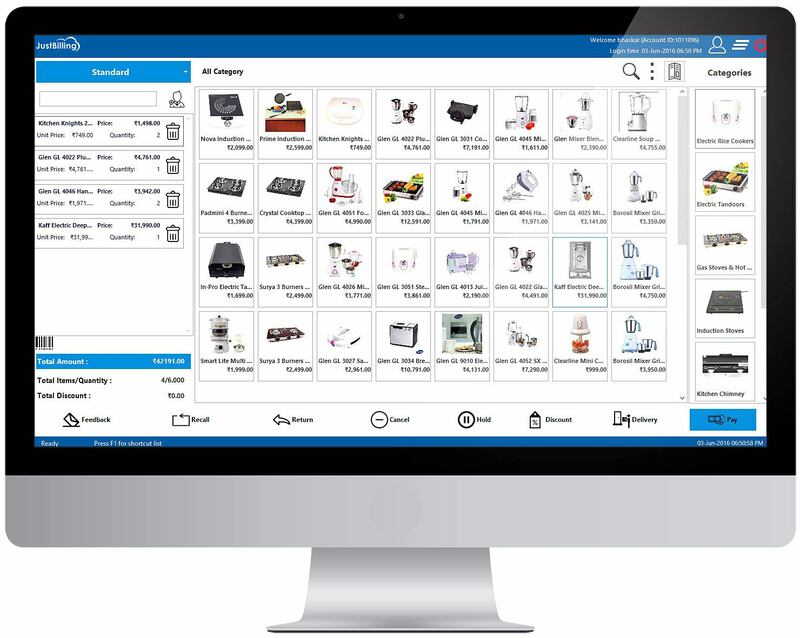 Analyze and compare orders, revenue, profitability from E-commerce and from physical stores. Increase sales efficiency, track payments made and analyze customers' buying pattern to understand seasonal trends. Gain complete and real time insights into company's purchase, suppliers and payments process. Monitor existing stock and reduce inventory overstock/stock-out situations and optimize inventory holding cost and wastage. Maintain all taxes and generate financial reports automatically. Reduce human errors associated with manual accounting entries. Operate in offline mode automatically when you lose Internet connection. Each device runs independently even if the internet is down. Automatic data streaming would start again in the back ground as soon as the internet connection is restored. No manual upload, download or reconciliation is required. Whether you have a single location or hundreds, Just billing is extremely scalable. You do not need to invest on head office server, hardware or infrastructure. This not only just saves your cost or capital investment, but also the effort, resources and expertise to configure and manage multiple locations. Your data is fully secure with our data centers from the world’s top cloud service provider Amazon AWS, which meets all the international standards, compliances and governance such as PCI, ISO, SOC. Moreover, all communication with cloud head office are encrypted with HTTPS protocol. No maintenance is required for the software, your data or servers. Be on top of the latest version of Just Billing software always with automatic upgrades. All your data are automatically backed up every day on our cloud servers. Setup a new device with your data automatically just in few minutes. 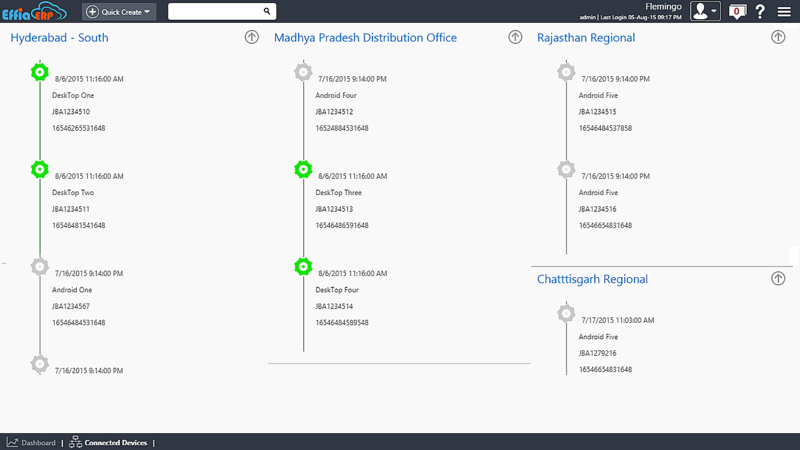 Let’s connect to demonstrate you the capabilities of Just Billing Distribution Management Software and how it can help your distribution / franchisee business to grow.